We are renowned for our engineering prowess, our cutting edge technologies and for getting it right the first time. 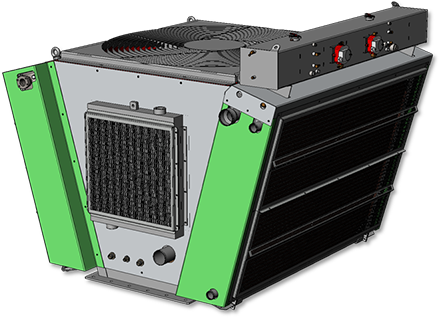 We mechanically design every new Air Radiators heat exchanger package using 3D CAD software (SolidWorks). The significant advantage of this is in understanding precisely how each component will fit or interact with any other component – critical in complex 3D assemblies. This approach generates a large amount of metadata associated with the product and parts (for example, material grade and gauge, finish and paint spec, purchased part or manufactured, weight, COG, outline dimensions, and so on), which flows through the manufacturing and customer delivery ERP system. 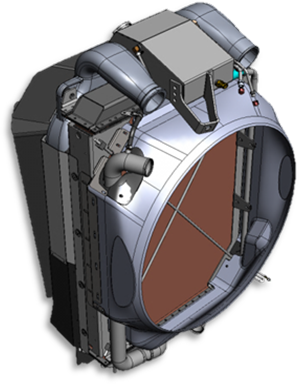 As part of the process, we supply a 3D model to customers for integration into their own designs. This resolves form and fit issues and ensures that customer interfaces are precisely defined for both parties. When the final product is delivered, there are no fitment surprises. In todays economic climate the design practices of the past cast a significant cost shadow. Air Radiators has invested significantly in our teams capability in value engineering and optimizing designs for cost, manufacture, operation and serviceability. This manifests itself in smart products developed by Air Radiators and the ability to take cost out of other manufacturers’ products in existing applications. We offer full compliance engineered solutions to meet the demanding requirements of heat exchangers operating environments requiring adherence to ASME BPVC, AS1210 and API661. From design and verification through manufacture and plant registration we have the necessary skills and processes to engineer and deliver compliant product. Over time, we have developed breadth of qualified weld procedures and welders to a support wide variety of products. We continuously expand this library of qualified welds as new challenges are met and are confident of developing specialized welding procedures to meet your needs, if required. We can comply with most project-specific standards requirements, be they international application specific vibration, durability, performance, corrosion protection and safety. We are a full-compliance high-definition engineered product environment capable of meeting your demanding and specific product requirements. Our innovative and well-equipped in-house R&D laboratory and team play a crucial role in developing solutions for our customers. 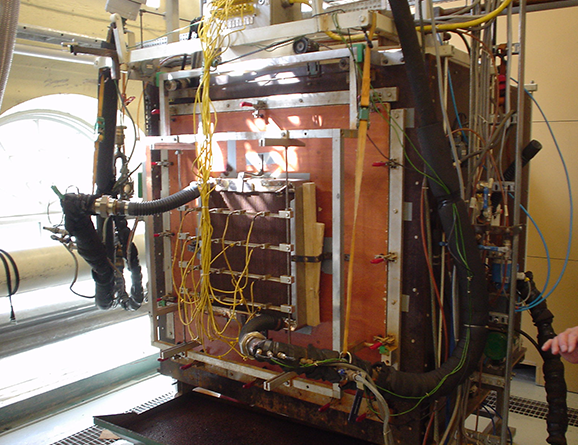 The bedrock of the capability is our wind tunnel, which we use to thermal performance data for all heat exchanger matrices used by Air Radiators. This basis in real product data provides real assurance that the product will perform as expected in service. 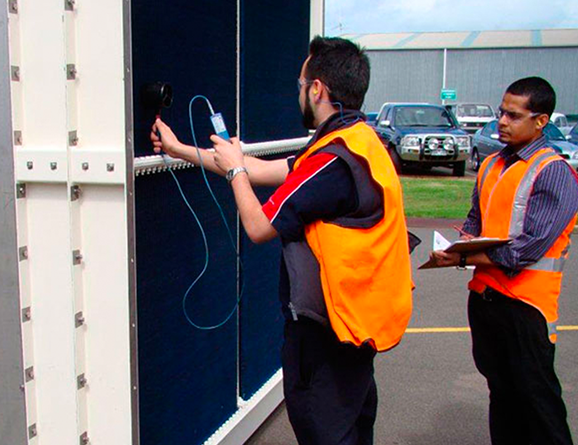 As well as thermal performance, our team manages or executes all other validation testing including noise, airflow, vibration shaking, pulse and thermal cycling. Using advanced Weibull analysis techniques, we compile and compare the data to in-service benchmarks to ensure that durability and performance targets are met. At Air Radiators, we make extensive in-house use of Finite Element Analysis (FEA) and Computational Fluid Dynamics (CFD) capability. These tools (SolidWorks Simulation, CD-Adapco Star CCM+) enable our engineering team to simulate and predict the mechanical, thermal fluid flow responses of different geometry. 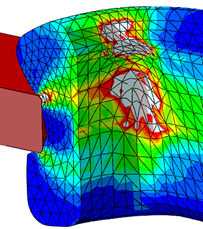 We use FEA to ensure that the structure is relatively well optimized for cost, weight and performance for any new design. The capability also plays a key role in assisting our customers to solve problems or failures in service. CFD is necessary to determine the pressure drop and flow paths through complex geometry – especially on the airside of the heat exchanger where good airflow through core matrices is critical to overall performance. 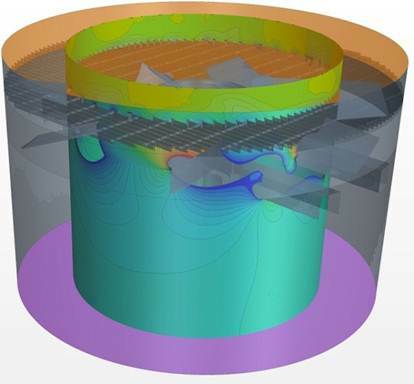 We also use CFD to predict the heat transfer characteristics of the small repeated geometry features that make up a heat exchanger core matrix, particularly useful in applying existing product in new or challenging environments. In the low-volume “engineering to order” environment, this capability ensures the product will perform and last as expected without the need to run expensive test validation programs at finished product level.